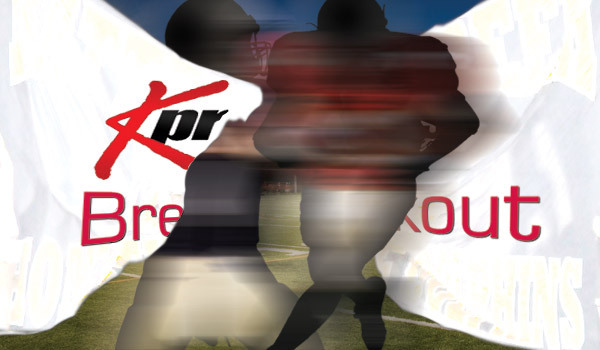 Kpreps is in its fifth year of naming a potential breakout player/unit for virtually every classification. Last season, the group featured Spearville running back Bailey Sites, Wichita Northwest’s Marcus Hicks and Breece Hall, Perry-Lecompton’s Dalton Kellum and Holcomb’s trio of Andrew Morss, Chance Rodriguez and Carter Blackburn. Sites, hurt as a junior, was one of the eight-man’s top players as a senior. Hicks, an Oklahoma commit, had easily his best statistical season and keyed a big Northwest defensive turnaround. Hall had 307 rushing yards as a sophomore and more than 2,000 last season before he committed to Iowa State. Kellum, a great special teams player two seasons ago, recorded 2,850 yards of total offense in his first fall as the starting quarterback. The Holcomb trio made big plays and helped the Longhorns win the 4A-II crown. St. John’s-Tipton has now posted six straight winning seasons, including a 5-4 mark with just two returning starters last fall. As a sophomore, Ketter took the majority of the snaps under center and completed 34 of 103 passes for 354 yards with a 3/9 TD/INT ratio in seven contests. He served as one of eight-man’s top punters with 27.1 yards per attempt and 15 of 18 inside the opponents’ 20-yard line. BSJT has had a strong history of quarterbacks that improve in the second year under veteran coach Keith Kresin. Ketter saw minimal carries in 2017 and should have a significant impact in the running game along with senior Kail Dubbert after leading rusher Ty Brummer graduated. The Blujays averaged 5.1 yards per rush, the third straight year of improvement. Before last season, BSJT had the Dubbert brothers at quarterback. In ’11, Trey Dubbert, then a freshman, completed 12 of 35 passes for 150 yards with a 2/3 TD/INT ratio. Sophomore Connor Eilert completed 41 of 117 passes for 563 yards with a 7/5 TD/INT ratio. Dubbert became the full-time starter the next season and upped his yards from 810 to 1,354 to 1,590 and tallied 64 career touchdown passes. Then, Davis Dubbert took over and passed for 1,393 yards in ’15 and 1,604 in ’16 with 42 total scores in those two seasons. Improvement under Kresin could help Ketter take a big step forward and became one of Division II’s top quarterbacks and specialists. Wylie Weems has started since he was a freshman on defense for Hoxie. In two seasons, he has recorded 106 tackles and six TFLs, along with three interceptions. The three picks came in last fall’s 12-1 season that ended in the Eight-Man, Division I championship, the school’s first football title. Offensively, Weems delivered 68 carries for 419 yards and eight scores and served as another option to workhorse Latham Schwarz, the classification offensive player of the year. Schwarz had 265 carries for 1,718 yards and 35 scores. Hoxie returns nearly all of its massive offensive line with standouts Jarrod Dible, Luke Schippers and Taye Washington and adds sophomore Harlan Obioha (6-8, 310). Senior quarterback Jared Kennedy is back. In the offseason, coach Lance Baar talked to Weems and said the junior would probably be looking at 30 carries a game in key contests. At that time, Baar didn’t know if Weems could handle the expected load. However, Baar said Weems took the conversation “to heart” and raised his weight room efforts. He has put on 15 pounds from last fall and stands 5-10, 180 pounds. “I think he wants to carry the ball as many times as we can give it to him,” Baar said. Weems, whom Baar labeled “very good at reading and reacting” on defense, played often at defensive back as a freshman and started at safety as a sophomore. He is expected to move linebacker this year for the Indians’ unit that ranked second in eight-man scoring defense at nine points allowed per contest. Hoxie’s defense and line is arguably the best in Division I. A big season by Weems in the backfield could produce a second straight title. Elkhart has reached the state playoffs five times in the last nine years, including four of the previous five. Last season, Elkhart won just the fourth postseason game in school annals and finished 8-3. The offense averaged 35.6 points per contest, second-best in the last nine seasons behind 37.4 in ’10. On a yards per play level, Elkhart was even better than previous Wildcat squads. Elkhart averaged 12.6 yards per pass attempt and 7.8 yards per rush. The year prior, the Wildcats had 7.1 yards per pass attempt and 5.4 yards per rush. It’s easily marked the best yards per play averages since ’09. Elkhart, known for its impressive skill players in the last decade, returns first team all-state quarterback Lane Whisennand and receivers Javier Gomez and Elian Prieto. The Wildcats had multiple graduates up front but has several talented players. This fall has a chance to be the best offense and possibly best team in Wildcat annals and a key reason could be breakout players up front. Sophomore Tyler Reeves is 6-foot-3, 265 pounds and coach Chris Hattabaugh expects him to be a physical player. Senior Traquan Miller (5-10, 255) started a couple of games in 2017. Junior Tanner Hattabaugh, the coach’s son, is 6-3, 240 pounds and will start at center. Junior Barry Clark (5-10, 185) had a nice summer. Senior Westin Boaldin (5-10, 190) is one of the captains, along with Whisennand, Gomez, Prieto and Sage Hoskinson. Known for his speed and strength, Boaldin often sets the edge at quick side tackle. Entering the preseason, Phillipsburg and Silver Lake are both high in the top-5, while Cimarron is pushing for a ranking in revamped Class 2A. All three teams graduated a 1,000-yard rusher – and look for breakout seasons from the above trio. Stoner had 46 carries for 252 yards and four scores in an injury-plagued junior year. Mason Jones graduated after he ran for 1,103 yards and 20 scores. Seabolt is expected to replace his brother, Josh, in the backfield for second-year coach Greg Koenig, long known for 1,000-yard backs at Beloit and Cimarron. Josh Seabolt rushed for 1,592 yards and 17 scores, while Tate had 66 carries for 418 yards and a pair of TDs in his freshman year. Koenig said Tate is now up to 177 pounds and looks faster than ’17. Senior Dylan Newton (2 catches, 62 yards, 1 TD) is expected to be a factor in the passing game. Newton enjoyed a strong offseason, including fourth in the Class 3-2-1A state wrestling tournament at 182 pounds. Phillipsburg graduated Kirk Coomes (1,188 yards, K-State signing) and returns Treylan Gross (1,000 yards). The Panthers expect a big season from Ellis, who rushed 26 times for 227 yards and three scores. Phillipsburg has four-year starting quarterback Trey Sides and expects to significantly open up the offense with a spread attack featuring jet sweeps and screens. Ellis comes from a big family, most notably with older siblings Kylah and Trey. Trey had a big breakout season his senior year of track and helped the Panthers win the state title in ’14. Pratt coach Jamie Cruce and Greenback multi-year standout Travis Theis both agree. On most other teams, Caden Blankenship and Kadence Riner are well-known standout players. On Pratt, though, the senior duo has been overshadowed by multiple all-staters, most notably Theis, one of the state’s best players for all classes since his sophomore year. This fall, Pratt, 19-3 in the last two seasons, moves Theis from running back to quarterback after more than 3,600 rushing yards combined in the last two falls. Riner had 46 carries for 402 yards and seven scores. Blankenship, in seven contests, delivered 24 carries for 170 yards and a TD. Receiving-wise, the pair combined for nine catches for 158 yards and three scores. All of Pratt’s receptions came from non-seniors. Defensively, Riner recorded 56 tackles with a team-high seven TFLs. Winsor, a senior wideout/defensive back, had nine catches for 202 yards and two scores, along with 66 tackles. While Piper is well-known for Division I prospect Cooper Beebe, the Pirates have several other talented players back from a young 4-5 team in 2017. Piper routinely played four freshmen, rare for a 4A school. Last season, Piper permitted 22.8 points per game, the lowest for the program in three seasons and on par with Pirate playoff teams in the last decade. However, the offense scored 20.2 points a game, the school’s lowest since 16.4 points per contest in 2008. That fall marked the last time without a playoff berth before ’17. Former Mill Valley assistant Rick Pollard takes over as head coach as Chris Brindle, the head coach for seven years, remains on as an assistant. Sophomore Branden Martin didn’t start but was Piper’s best linebacker by the end of the year. In just three games, he had 18 tackles and three TFLs. He ranked second among Beebe (65 tackles, 16 TFLs) among returners in tackles and TFLs per game. The top-three rushers are back with senior Dalton White (88 carries, 398 yards, four scores) and sophomore La’James White (62 carries, 246 yards, six scores) leading the way. Piper tallied 156 rushing yards a game and 4.7 yards per carry. Dalton White completed 40 percent of his passes for 518 yards with a 3/5 TD/INT ratio. Senior LeMoses White (5-10, 270) returns for his second year as a starter on the line. Coach Sam Sellers is very high on Quill and Garrett after the Cougars posted a 3-7 season in 2017, a two-win improvement. South is expected to take another offensive climb after it scored 14.2 and 16.9 points per game the last two falls. Quill, a senior, has put on about 35 pounds since the start of last season and moved from wide receiver/safety to running back. Sellers called Quill’s work ethic “out of this world” and he should improve a running game that averaged 171 rushing yards a game and 4.6 yards per carry. Even in limited time in ‘17, Quill is the team’s leading returning rusher with eight carries for 34 yards. Quill is expected to play some defense after he helped drop South’s scoring defense average from 37.3 points per game two years ago to 28.7 last year. Quill recorded 44 stops, including 27 solos, second-best among returners. Garrett, a 6-foot-3, 205-pound junior, has started since he was a freshman. South was limited in the passing game the last two years, and Garrett should improve on 31 catches for 376 yards, both easily team-highs, for a squad that averaged just 64 passing yards a game. Quill was second with 15 receptions for 163 yards. Garrett had one of the team’s two receiving TDs. Garrett, with size and athleticism, has been dominant in scrimmages and 7-on-7. Sophomore Terron Galloway is expected to take over under center. Last season, Olathe North was 1-3 entering a Week 5 contest against Lawrence and dynamic quarterback Dante Jackson. The Eagles had a running clock against them the previous two weeks, the first time it occurred in head coach Chris McCartney’s more than 20 years on staff. At that point, the Eagles had permitted 37.3 points per game against a brutal schedule. Olathe North changed the offense from spread to a run-heavy Wildcat. The Eagles simplified the defense. North won six straight games and finished 7-4. In the last seven contests, North permitted just 18.1 points per contest. They also received more help from the offense. In the first month, the Eagles averaged 47 snaps with 20 pass attempts. In the last seven, Olathe North upped to 57 snaps with eight passing attempts a game. The Eagles do have a new offensive coordinator but should remain run-heavy with returners Daymonn Sanchez (1,075 yards) and Arland Bruce IV (819 yards). Offensive line coach Josh Carroll, a former two-time Top-11 all classes player, leads a veteran front. Defensively, the Eagles finished No. 16 in 32-team Class 6A in scoring defense at 25.1 points per contest. However, the Eagles ranked as one of the best defenses after Week 4 – and could yield another improvement this fall even after first team all-state linebacker Eric Dooley graduated. McCartney has been impressed with his defensive line in the 3-5 look. Very athletic Matt Martin (6-2, 205) has shown significant improvement and is expected to start for the first time. Jay Zarlengo (6-2, 288) and Jordan Baker (5-9, 215) will switch off at nose. Zarlengo played offensive line last year and moved to defense. Senior defensive end Matt Burks was a 2017 probable starter and then was out all last season with a preseason ACL injury. Burks (6-0, 220) could play a key role, too. Senior linebackers Jasper Earls and Savion Butner each recorded 48 stops, best among returners, and senior safety Devin Stoker is considered the quarterback of the defense. Seniors James Thomas and Joey Rudolph are returners at defensive back. The personnel could help Olathe North post its best scoring defense since it allowed 12.8 points per contest in 2014.